In order to get the most out of research it is essential to be computer literate and have access to the internet. This, to some people may seem daunting, but there is always help available, even possibly free classes at your local community centre. Even if you do not own a computer, most local libraries nowadays have several to use, often free of charge. It is possible to research ‘the old way’ but this is more costly and time-consuming. There are three subscriptions available, plus Pay as You Go. Ancestry also includes WW2 Prisoner of War records, and also UK, City and County Directories, 1766 – 1946. The Commonwealth War Graves Commission website (www.cwgc.org) has a Debt of Honour Register which records when and where the service personnel died as a result of WW1 and WW2, plus information regarding the cemetery in which he/she is buried or named on a memorial. 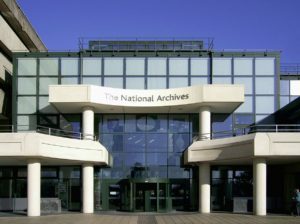 The British Newspaper archive is available by visiting any branch of a library in Hampshire. This archive will give you access to thousands of past editions of newspapers throughout the United Kingdom, not just Hampshire based. If you have an enquiry relating to the history of Lymington or people or places with a Lymington connection we would recommend you visit the King Research Room at St Barbe. This is open Monday to Thursday 10.00 am to 12.00 am. 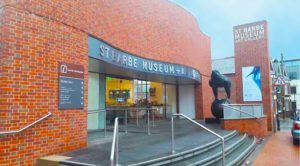 Please note that the Lymington and District Historical Society have donated all of their books and research material to the St Barbe Museum and they have agreed to carry all Lymington based enquiries from members of the public. St Barbe Museum King Research room now holds copies of the New Milton Advertiser and Lymington Times on microfiche, going back to 1928. Also on microfiche is the Lymington and South Hants Chronicle going back to late Victorian times. The Christopher Tower Library is an amazing resource for researchers, historians and genealogists. Please note that the Lymington and District Historical Society have donated their New Forest books and research material to the Christopher Tower Library who have agreed to carry out all historical enquiries relating to the New Forest area. For general enquiries please send them via office@newforestheritage.org.uk or telephone 02380 283444. Hampshire Record Office in Winchester, Sussex Street, Winchester, SO23 8TH. Before visiting, one is advised to check the online catalogue or list of popular records to see whether the Record Office holds what one is looking for. Visitors need a reader’s ticket. These are free and can be obtained at the start of the visit by providing proof of name, address and signature. Alternatively, one can request a temporary, one-day ticket for access to all the popular records available in the public search room. The Red House Museum, Quay Road, Christchurch, Dorset, BH23 1BU. There is a Local Studies Resource Room on the first floor of the Red House Museum. Visitors can access the resources here during our opening hours. No need to book. However if you wish to view original source material or archives you will need to contact us in advance to make an appointment. The museum collection includes archive maps, plans, books, letters and printed ephemera, dating from the early nineteenth century. The photographic collection includes postcards, albums and slides from the Victorian period to the present day. We have made copies of many of these photographs which are available in Local Studies Resource Room and are available on a drop in basis. We have also made some of these images available on public access computer in the museum. A Reader’s Ticket is needed to access original documents but not necessary to access documents online. Whether one registers in advance or on the day of the visit, your photograph is taken in the reader registration room for your reader’s ticket when you visit, and your ticket will be issued. One needs to carefully review the instructions on the National Archive Website regarding proof of ID documents. Imperial War Museum Library, London (www.iwm.org.uk) – advisable to reserve a seat in advance. British Library (www.bl.uk) – Reader’s Ticket available on production of 2 items of identity; one has to prove that the research could not be carried out elsewhere. Kelly’s Directories was a trade directory in the United Kingdom that listed all businesses and tradespeople in a particular city or town, as well as a general directory of postal addresses of local gentry, landowners, charities, and other facilities. It was a Victorian version of today’s Yellow Pages. Many reference libraries still keep their copies of these directories, which are now an important source for historical research. http://maps.nls.uk/os/6inch-england-and-wales/ This link takes the reader to historic maps. These are of use to a researcher. Relevant books for local history research are highlighted on the following page.